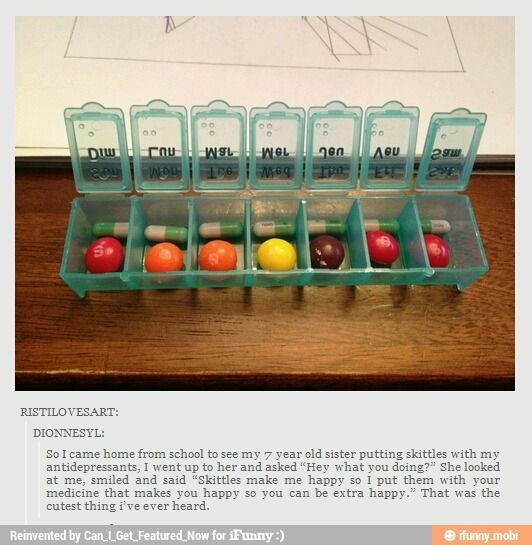 Sweet but sad a 7 year old is associating happiness with anti-depressants! Yes, that’s true, but then for some people, anti-depressants are a source of happiness? I’m not sure it is a source of happiness more giving a helping hand to lift our depression somewhat so we are able to at least begin to figure out why we are so unhappy. The pills themselves don’t change our problems or situation.